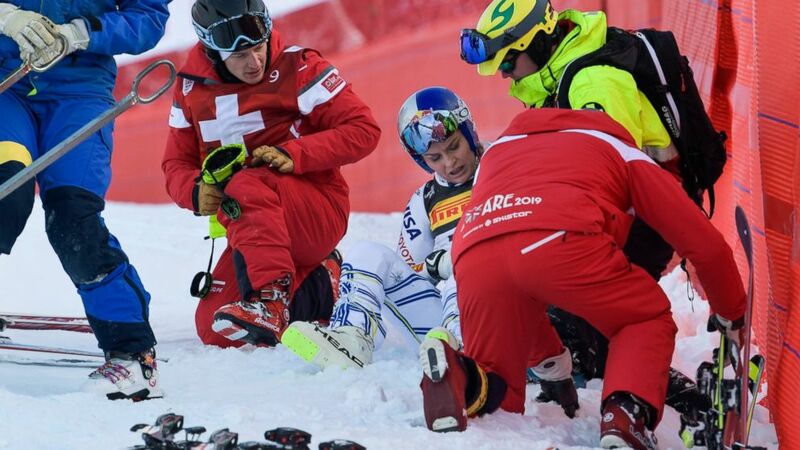 Lindsey Vonn is sitting out downhill training again, two days after her crash in the super-G at the world championships. Vonn got the wind knocked out of her after hitting the safety nets and was left with bruises on her face and a puffy right eye . She already completed one downhill training run on Monday — meaning that technically she does not need to start another one to race. Conditions for Thursday’s training runs — for men and women — were much warmer than earlier in the week, at minus-4 degrees (25 F).